I just joined a new book group that focuses solely on "Classic Historical Fiction". Some of my favorite time is when a book group is starting out. Everyone is getting to know each other and figuring out just how much they have in common. I love discussing books with the members, and having those, "Oh, you too!" minutes when you connect. This particular group started with some spirited and interesting discussions of how you determine what is a "classic" and what the exact definition of the genre Historical Fiction is. Let's start with a definition of Historical Fiction. Most places I have looked have defined it as any fiction book where the story is set at least 50 years in the past. 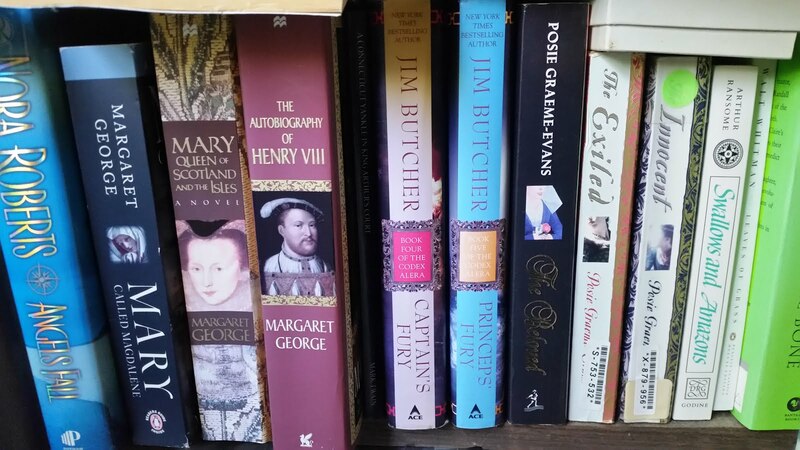 Books like C. W. Gortner's The Confessions of Catherine de Medici or Ken Follet's Pillars of the Earth are naturals. But what about a book that is written in the late 60s or early 70s about WWII. Would that not seem like Historical Fiction to you? The time difference between the writing and the events is only 25 or 30 years. But it certainly seems like history to me, and therefore Historical Fiction. On the flip side, some people consider the work of Charles Dickens as historical fiction because the subjects that he wrote about are so far in the past, even though they were contemporary when he wrote them. How about you? Where do you fall in this continuum? Then there is the issue of what is a "classic". I think the most common thing that comes to people's mind when you say the word classic is something that has endured the test of time. Books that were written many years ago, and are still being read and loved by readers today. Others say it is works that, by their subject matter or the manner in which they were written, define the era in which they were written. At best the definition is a nebulous one. I think for the group we decided that anything written before the beginning of the 1980s was going to be determined to fit the definition for our purposes. In the end, though, I believe that we decided to change the word from classic, to classical, in order to allow books that did not have a large following, but that we felt should have. So - What are your favorite Classical Historical Fiction books and/or authors. Do you find certain time periods, places, or historical figures that you like to read about more than others? I have thought a lot about this question myself. My favorite Historical Fiction books are easy, Hawaii by James Michener, Pillars of the Earth by Ken Follett, People of the Book by Geraldine Brooks, Snow Flower and the Secret Fan by Lisa See (actually just about anything by her), Memoirs of a Geisha (forgot the author, lol), and The Joy Luck Club by Amy Tan. There are many more, but they are the top.